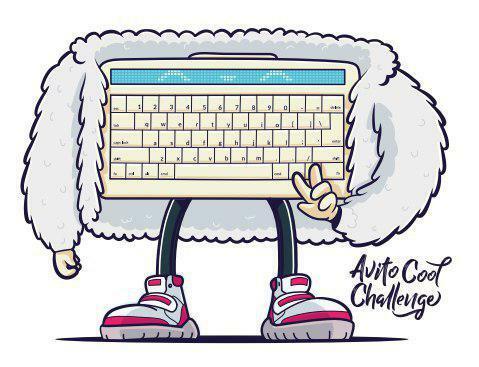 I'm glad to invite you to participate in Avito Cool Challenge 2018 which starts on Dec/16/2018 17:35 (Moscow time). The round will be rated to participants of both divisons. The problem setters are fjzzq2002, yjq_naive, fateice, yanQval and quailty. _kun_ and 300iq for coordinating and helping us with the round. lewin, Ashishgup, winger, AlexFetisov, gritukan and isaf27 for testing the round and giving advice. MikeMirzayanov for awesome Codeforces and Polygon. Avito for generously sponsoring this round. This round is conducted on the initiative and support of Avito. Avito.ru is a Russian classified advertisements website with sections devoted to general good for sale, jobs, real estate, personals, cars for sale, and services. Avito.ru is the most popular classifieds site in Russia and is the third biggest classifieds site in the world after Craigslist and the Chinese website 58.com. Avito presents nice gifts for participants. Top 30 participants and also 10 random participants with places 31-130 will be awarded with a special T-shirt. You will be given 8 problems and 2.5 hours to solve them. As usual, the score distribution will be revealed shortly before the contest. This is the first contest on Codeforces for most of us. Hope to see you participating! Good luck! There will be an interactive problem in the round. If you have never solved interactive problems before, please read this. UPD: The scoring distribution is standard 500-1000-1500-2000-2500-3000-3500-4000. Also, you can find the list of T-shirt receivers here. I'm glad to invite you to take part in Avito Code Challenge 2018 which starts on May/27/2018 17:50 (Moscow time). Any participant can join the round and it will be rated for each participant. Hope to see you among the participants! Problems are prepared by me — Ildar Gainullin. Many thanks to Vladislav winger Isenbaev, Grigory gritukan Reznikov, Ivan isaf27 Safonov，Alexander AlexFetisov Fetisov and Shiqing cyand1317 Lyu for the round testing, Nikolay KAN Kalinin for helping me to prepare the contest, and also to Mike MikeMirzayanov Mirzayanov for systems Codeforces and Polygon. Participants will be offered eight problems and three hours to solve them. Scoring will be announced a bit later. I hope everyone will find interesting problem for themselves. Wish everyone a successful round and high ratings! Server time: Apr/18/2019 14:21:38 (f2).